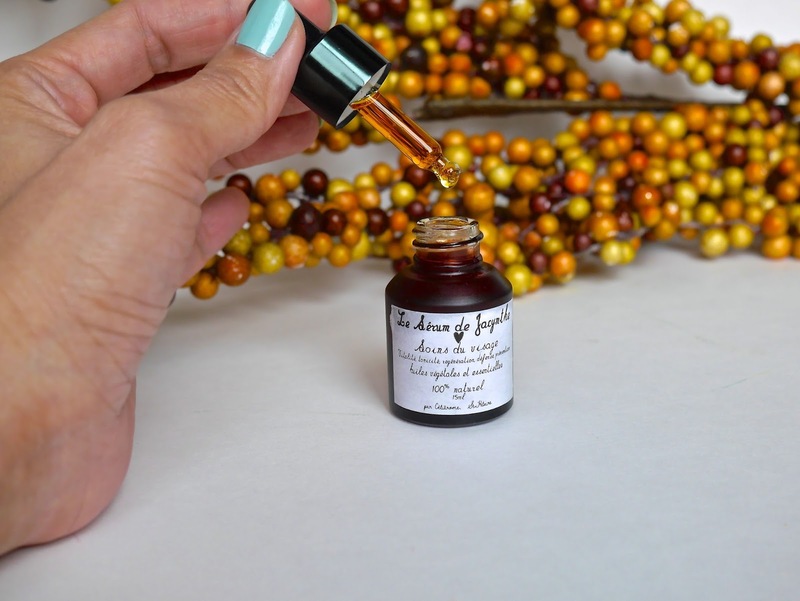 Today I am bringing you a local Canadian 100% natural skincare brand, Les Soins de Jacynthe. This brand was founded by Jacynthe René, an actress, producer and also the host of Vive, a French Canadian series about health and well-being. She has also published three books in the last 4 years and has been featured in Women’s Health, Clin D’oeil, LaPresse, etc. I was kindly sent Beauty Essential Set* (check here) which includes a Cleansing Oil* (100mL), Floral Water* (100mL) and Serum* (15mL). This trio comes in a dark, heavy glass bottle which I guessed is to preserve the natural essential oils in each product. 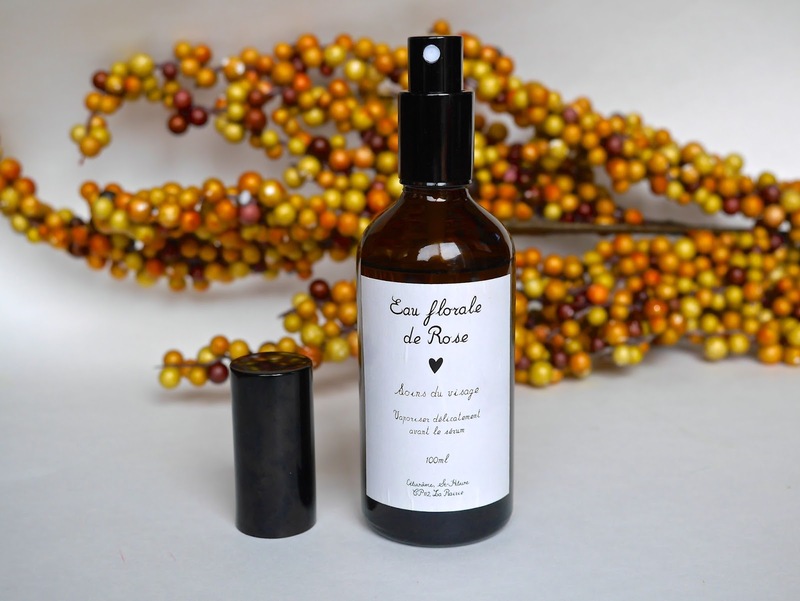 Both Cleansing Oil* and Serum* comes with droppers while Floral Water* comes in a spray nozzle. I love how simple and straight forward the packaging is and the font is very feminine. I also noticed that there is no ingredient list on any of the products and upon checking the website, I found out it's not listed there. I reckoned the reason could be to protect their secret blend however I thought it would be best for me to point it out because I know there would be some of you who would frown on this. Cleansing and purifying oil composed of jojoba and apricot oils, sea buckthorn CO2, bourbon, geranium rosa, ylang ylang and sandalwood oils. I will be upfront and admit I absolutely hated this for the first week. Unlike other store bought cleansing oils that I am used to, this doesn't emulsify with water. It's pure oil and it's suggested to be rinsed off with warm water in the shower or wash cloth without another cleansing. That way didn't work for me because regardless how well I rinsed it off even with the help of a face cloth, it felt like my skin was not clean enough. Using a milk cleanser as a second cleanse after this oil has done absolute wonders for my skin. It leaves my skin feeling nourished, soft and for the first time, normal. 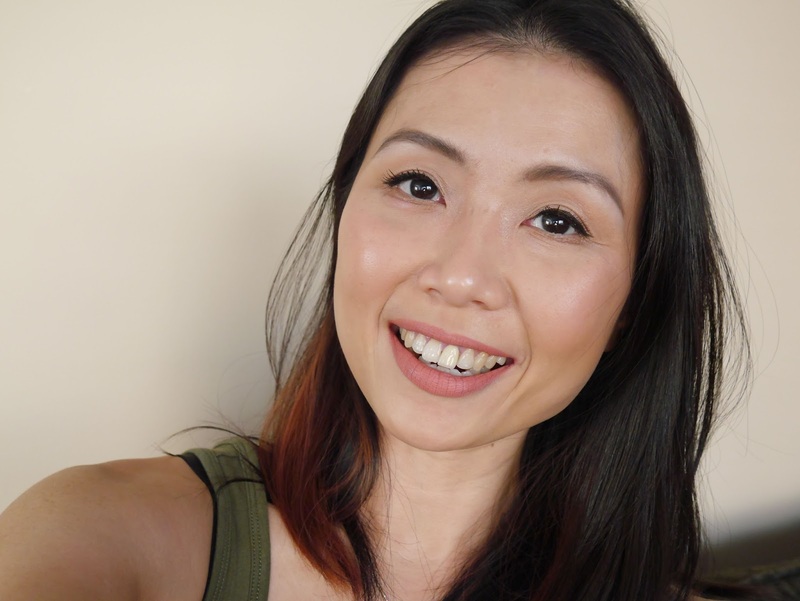 My skin don't feel taut or dry and I don't feel the need to rush for my moisturizer. Honestly, I have come to love this oil so much and I would consider repurchasing once it's finished. This water has a very refreshing natural rose scent but unfortunately that is the only good thing I could say about it. I don't find it to do anything particular for my skin; it neither hydrates or refreshes. I do understand that this is meant to be as a base for the serum however I personally feel like it's an over priced rose water and I could probably create the same thing by steeping fresh rose petals in water. The website itself stated that if you don't have this floral water then just splash water onto your face as a base for the serum which further strengthened my opinion that this is completely unnecessary. At first sight I was taken aback at how dark the colour of this serum is. It reminds me of iodine but what further knocked my senses was the smell. Oh yes, it has a very strong scent and not a pleasant one. The first thing that came into my mind was rotted vegetables and while I know most of you are mentally gagging, please bear with me. While this is called a serum, it's actually a facial oil. I only need three drops for both my face and neck and it does go on the skin a tad bit yellow. The yellow goes away as soon as I massage the oil into my skin and it absorbs within a few seconds. 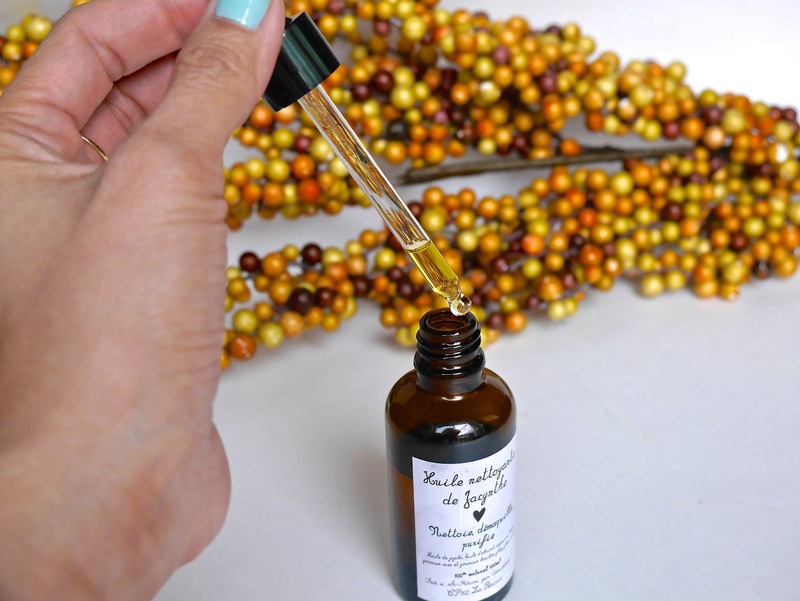 The iodine-like colour and funky scent aside, this is an amazing facial oil. I love how fresh, radiant and healthy my skin looks with this. I have worn it under makeup without any problems and I swear it makes my skin glow. And during the evenings when I mixed two drops of Paula's Choice 1% Retinol Booster (reviewed here), I woke up to the freshest, smoothest, most radiant, glowing skin. The two products together are like a match made in heaven. Adding the retinol is not necessary because this oil is heavenly by itself but twice a week I will use that combo and take it to the next level. Les Soins de Jacynthe Beauty Essential Set* honestly took me by surprise. I discovered that I could easily skip moisturizer when I use this set, my dry skin remains healthy without any dry spots. With the exception of the Floral Water*, I thoroughly enjoyed using the products and would consider repurchasing in the future. 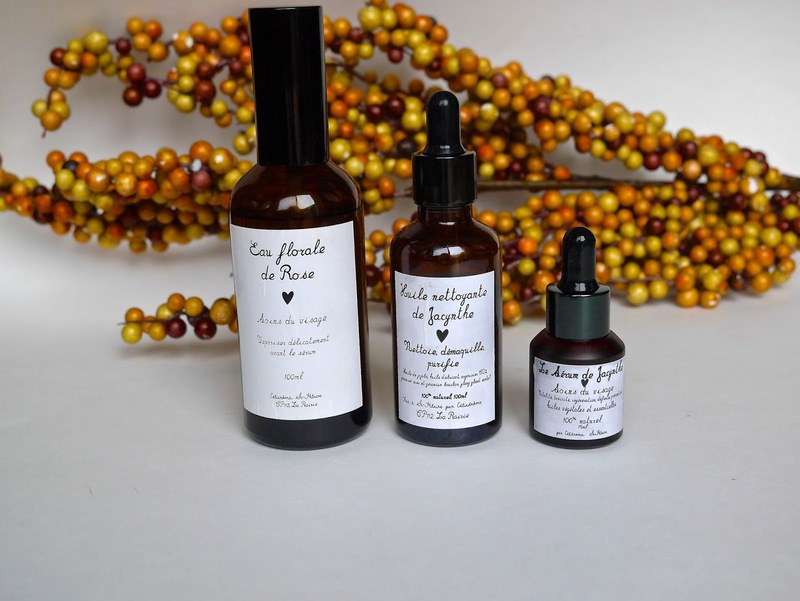 If you are looking for a 100% natural skincare products to try then I highly recommend checking out Les Soins de Jacynthe. UPDATE: For ingredient list click here and here however it's in French. I was also informed that the serum is not supposed to smell funky which meant the one I have must have been affected during delivery.